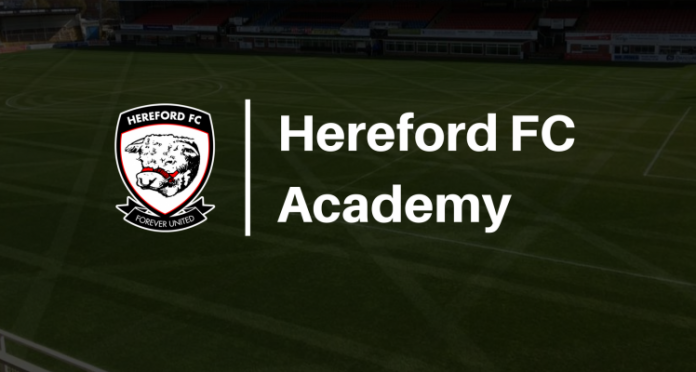 The Hereford FC Academy Under 18 side take on their Stourport Swifts counterparts at Edgar Street this evening in the Final of the Herefordshire FA Giantkillers Cup (7.45pm). Stourport beat Westfields and Malvern to reach the final, with Dan Chance’s men beating Hinton and current holders Pegasus Juniors on their route to Edgar Street. Having completed their League programme the Swifts are third in the Midland Floodlit Football League Southern Division, the level below the Bulls, with their last game a loss to champions Malvern Town three weeks ago. The Bulls have three further games to go in their Premier South campaign, facing Evesham, Rugby Borough Juniors, and Stratford Town at Old School Lane on successive Thursdays from the 18th. Admission for the game is through the Montgomery Waters Executive Club entrance, with the cost £3 Adults and £2 OAP/Under 16.